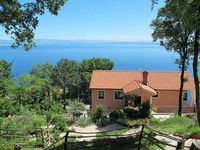 Properties in Primorje-Gorski Kotar County average 4.5 out of 5 stars. New spacious apartment, city center, directly on the beach, open sea views! - App 2. Property 22: New spacious apartment, city center, directly on the beach, open sea views! - App 2. 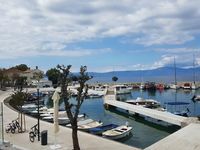 New, 2 x terrace with sea view, barbecue, EASTER VACATION FREE! Great price! Property 33: New, 2 x terrace with sea view, barbecue, EASTER VACATION FREE! Great price! New: 2 beautiful apartments right on the beach - Apartm. "Blu Oceano" (4+4) directly at the beach ! New !!! Property 35: New: 2 beautiful apartments right on the beach - Apartm. "Blu Oceano" (4+4) directly at the beach ! New !!! We found a real spacious, clean flat, with a stunning view all over the bay when you climb up several steps to the beautiful garden. But even from your veranda at the ground floor it is marvelous. The owners are very respectful and caring. Thank you so much for these holidays.